Anthony Fauci, head of the U.S. National Institute of Allergy and Infectious Diseases in Bethesda, Maryland, and a co-author of the Science paper, today reported the failure of a clinical trial that attempted to translate the remarkable monkey success to humans. “We did not see those dramatic results at all,” Fauci said at the International AIDS Conference in Amsterdam that is taking place this week. In the monkey experiment, the animals infected with the simian immunodeficiency virus (SIV) were treated with antiretroviral (ARV) drugs that suppressed the pathogen, and then given repeated injections of an antibody that blocks a receptor called α4β7 found on immune cells. The researchers then stopped giving both the antibodies and ARVs, and the monkeys still completely controlled SIV for more than 9 months. The virus quickly came roaring back in control animals that had only received ARVs and then had that treatment halted. Some considered the antibody-treated monkeys cured, as they appeared capable of indefinitely controlling the small quantity of virus that persisted without any further interventions. That cellular receptor is found on the surface of CD4 white cells, HIV’s favorite target. Fauci’s group had earlier shown in test tube experiments that white blood cells studded with both α4β7 and CD4 are far more susceptible than other cells to HIV infection. 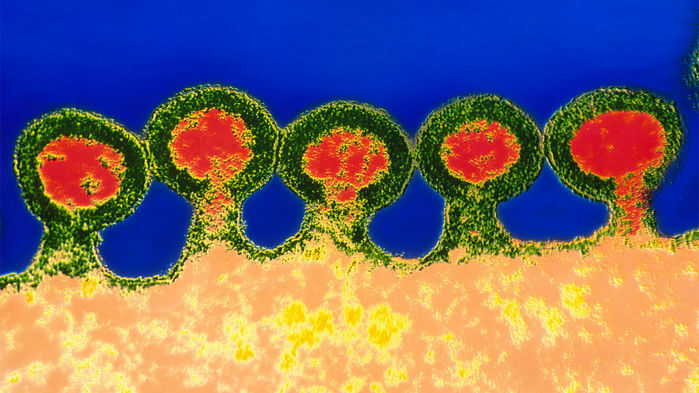 If people reacted like monkeys to the antibody treatment, once vedolizumab blocked α4β7, they could stop ARV drugs and the HIV that inevitably remained would start to copy itself, but would have difficulty infecting cells and creating new virions. Kenneth Mayer, a prominent HIV/AIDS clinician who is the medical research director at the Fenway Institute in Boston, called the results “sobering.” And more sobering still, vedolizumab joins a long list of other potential HIV cure strategies that yielded exciting initial results, but, once put to a real-world test, went kaput.